يقع فندق Mansfield Valley Motor Inn، المصمم ليناسب كل الضيوف سواء كانوا من رجال الأعمال أو السياح، في مكان ممتاز في أحد أكثر المناطق تفضيلاً في هذه المنطقة. يقع مركز المدينة المثير على بعد 0.0 Km فقط. يشكل هذا الفندق ملاذاَ مريحاً للاسترخاء ويمنح زواره فرصة للاستجمام والتجدد، وهو يقع على بعد خطوات من المعالم السياحية الكثيرة للمدينة. كما يقدم Mansfield Valley Motor Inn الكثير من الخدمات لإغناء رحلتك في المدينة. يمكن لضيوف الفندق الاستمتاع بالميزات التالية على أرض الفندق: مرافق مخصصة لذوي الاحتياجات الخاصة, صف السيارات, خدمة الغرف, غرفة عائلية, مكان مخصص للتدخين. تتضمن كل غرف النزلاء وسائل الراحة والتسلية المصممة خصيصاً لضمان الراحة القصوى للضيوف. سواء كنت من محبي الرياضة أو كنت تتطلع لتفريغ عناء نهار صعب، ستجد خدمات ذات مستوى عالي بانتظارك كمثل مسار جولف - ضمن 3 كم, حمام سباحة خارجي, ملعب تنس, حديقة. يشكل Mansfield Valley Motor Inn بخدماته الراقية وموقعه الممتاز، قاعدة مثالية للاستمتاع بإقامتك في المدينة. Staff was friendly, great, helpful.. The apartment was fairly clean but the dated furniture and carpets creates a very ‘old’ feel. Unfortunately there was no cutlery or crockery to accompany the microwave. Check-in and check-out was easy. The Inn could do with some upgrading tough. Good choice to stay if you are going to Mt Buller. The owner is very friendly and informative. A bit far from the center but still in walking distance. Overall is good but you may find other similar places with lower price. 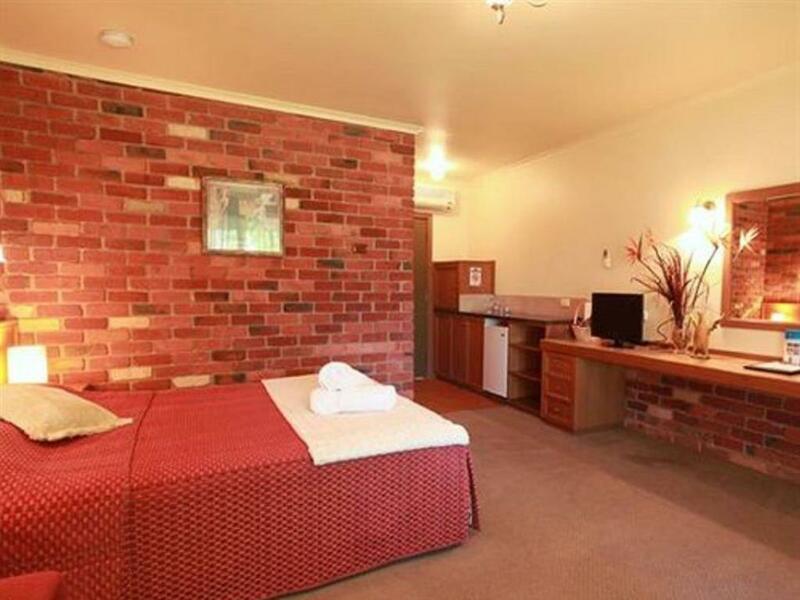 Good value, clean, with all the required facilities in an older fashioned but altogether serviceable motel unit. Nice rooms and facilities Staff were pleasant and keen to please. Far enough out of town centre to be quiet and peaceful. We stayed here the night before heading up to Mt. Buller as the price was reasonable! Very tidy and great location. Thank you very much. 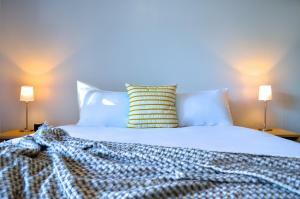 Beautiful motel with complete facilities. Excellent in all ways. Very happy. The reception staff (possibly owner) at this property were extremely rude when we arrived and checked in at the property. We booked accommodation with 2 rooms, but the motel had run out of rooms and insisted we booked a single room with 1 bed. They were also unwilling to work through the problem with us when we requested to borrow a mattress to put on the floor or to borrow pillows from the couch in reception, so I had no choice but to sleep on the floor. For some unknown reason they kept repeating my name and phone number to me and telling me I had booked through booking.com, when I clearly booked through Agoda and had the email confirmation to prove it. This was all very unnecessary and had the staff attempted to deescalate the situation it would have been fine, but they instead decided to take the line that we had not booked the room shown on my confirmation, which just exacerbated the situation. Furthermore, the accommodation was not as described. For example, the terrace view room is actually just a view of the concrete pathway with a fantastic view of a corrugated iron fence about a meter from the door. The room had obviously been cleaned in a rush as there was still dirt on the floor, marks on the bench and the bathroom had hair in the sink. Everything about our stay at this place was unpleasant and I sincerely hope they do not treat other guests the way they treated us. I have never encountered such appalling service in all my life! I would not recommend this place to anyone! Need more kitchenette accessories like plate, romm heater was not enough warm.. But overall is good..
Quiet, handy location. Great for overnight stop! Great place to stay overnight after a 40 km bike ride. Comfortable bed, room, at an affordable price. Very friendly proprietor, very helpful. Would stay there again. It was good but I only stayed for one night.